Square Register is a fully integrated point-of-sale system designed to work with any business. 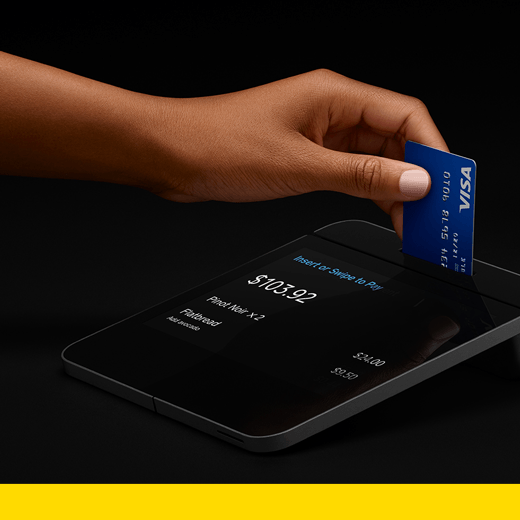 It is the first Square product that combines dedicated hardware, embedded software and integrated payment technology—all working together seamlessly. Merchants no longer have to manage multiple systems. Square Register has a bright extra-large seller display that helps merchants ring up transactions quickly and accurately. It also features a versatile customer display that can be docked to the Square Register or positioned separately. The customer display shows customers what they’re buying, lets them pay with any form of payment (contactless, chip and magstripe) and can prompt customers to sign up for digital receipts and loyalty programs. With its striking minimal form factor, Square Register is a hit with sellers, elevating their countertops with the perfect combination of style and functionality.